Sarah Leavitt’s Tangles uses images and words to illustrate her mother Midge’s descent into Alzheimer’s disease dementia and her family’s reaction to this new reality. 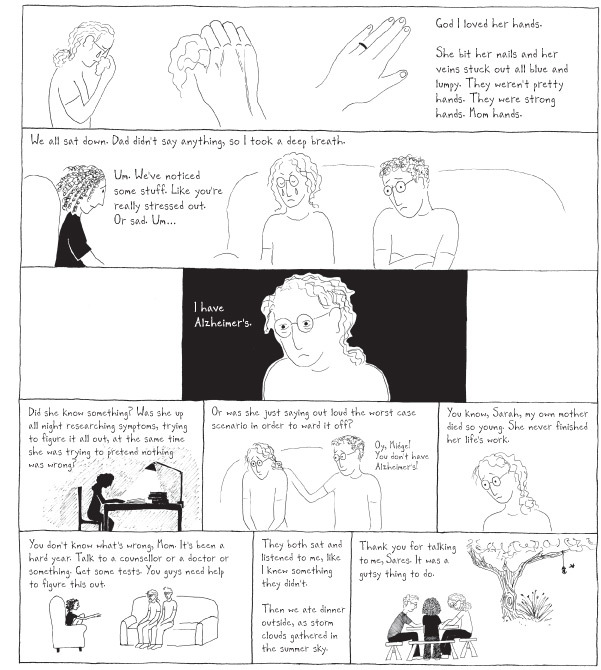 The graphic memoir’s lean drawings and honest language combine to paint a loving portrait of a family as Midge moves through the stages of the disease. 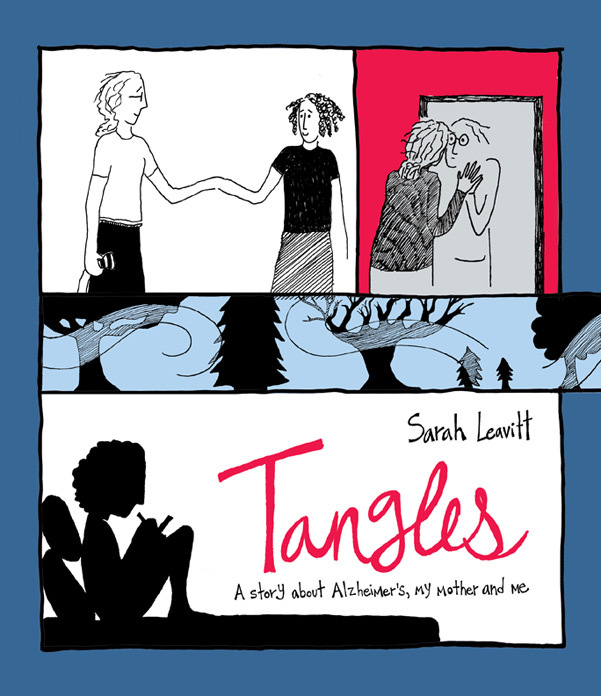 Tangles: A Story About Alzheimer’s, My Mother, and Me is Sarah’s first book. Tangles has been published in Canada, the US, UK, and Germany to international critical acclaim (LA Times, Vanity Fair, Globe and Mail, The Guardian). It will be published in France in September 2014. Sarah’s prose, comics and illustrations have appeared in anthologies, magazines and newspapers in Canada, the US and the UK. 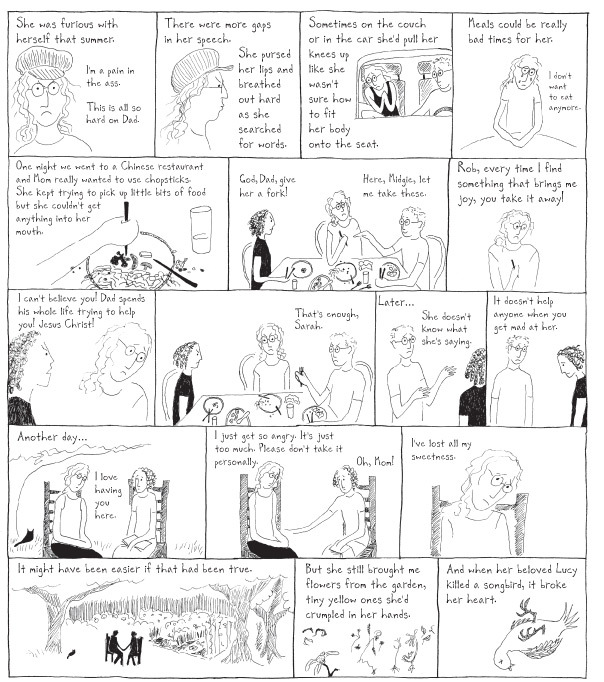 Sarah holds an MFA in Creative Writing from the University of British Columbia, but is largely self-taught as an artist and cartoonist. She has led workshops on making comics, developed and taught university courses in comics, and read from her work at numerous festivals and conferences. She is currently at work on her next book. More at sarahleavitt.com.